Through an intuitive and user friendly interface, CAE viewer allows you to import meshes and results from common commercial FEM solvers including Nastran OP2, Abaqus ODB (*) and Ansys Mechanical. At iChrome, we are proud to share this new release with you – follow this link to know more about CAE Viewer and see it in action in our short video tutorials. 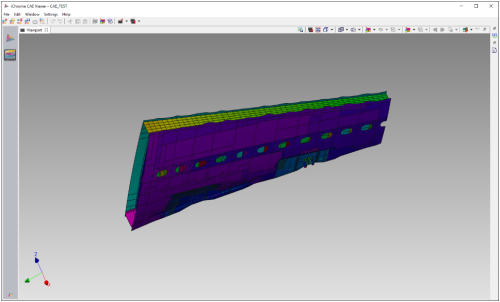 CAE Viewer is available on Windows 64-bit architectures and can be downloaded for free(**) here.